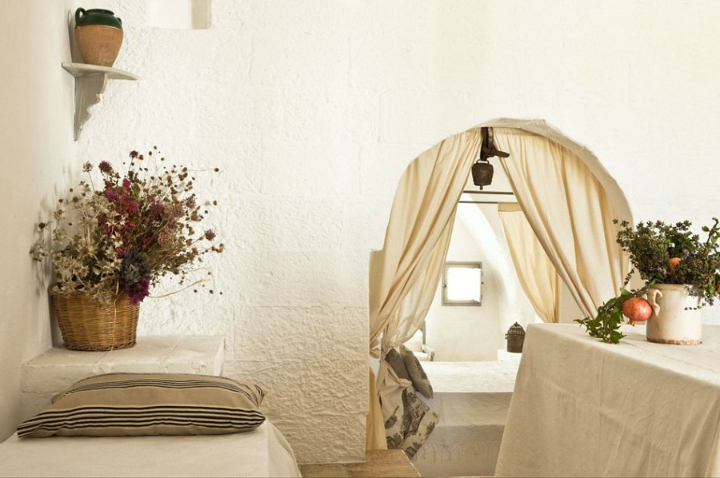 The 16th century Masseria Potenti is set within a large estate with olive trees and vineyards, at only a short distance to the Ionian Sea and some picture-perfect beaches. 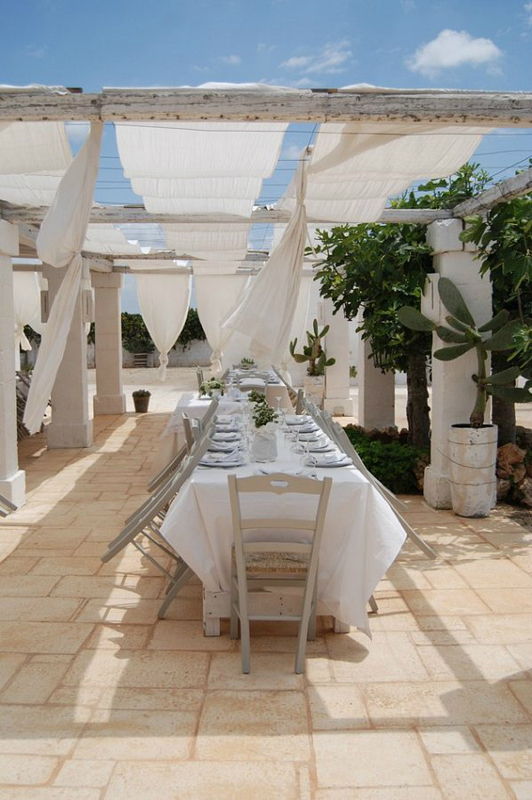 The hosts, Maria Grazia and her family have made it their mission to share the love for their land, the pleasures of countryside living and the beauty of the Masseria with their guests. 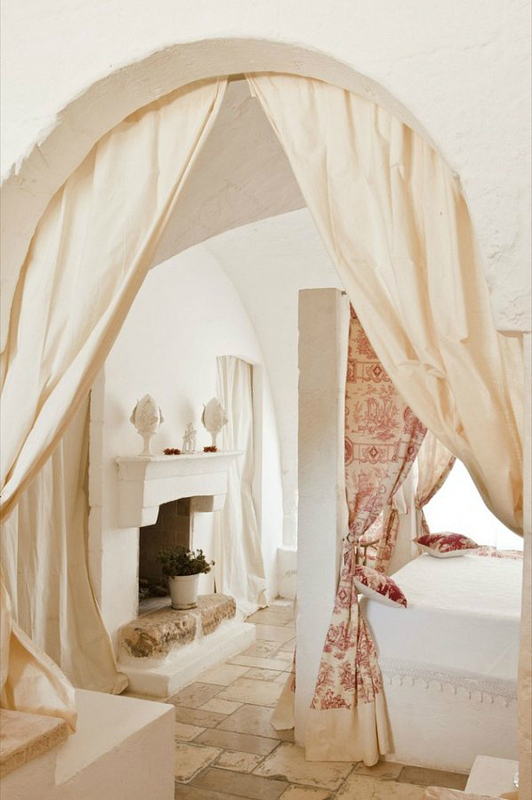 The renovation of the Masseria has left all the historic aspects of it intact while creating 18 comfortable rooms and apartments. 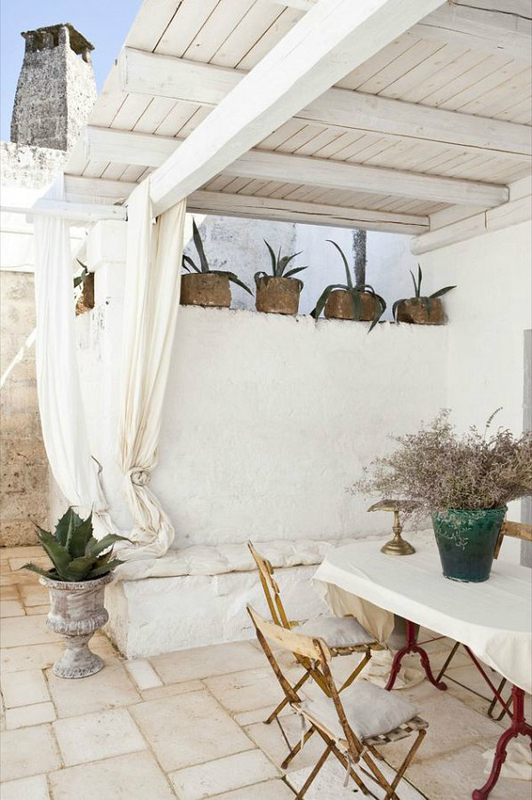 Most of them feature fireplaces and private outside spaces overlooking the garden with swimming pool and Mediterranean plants. 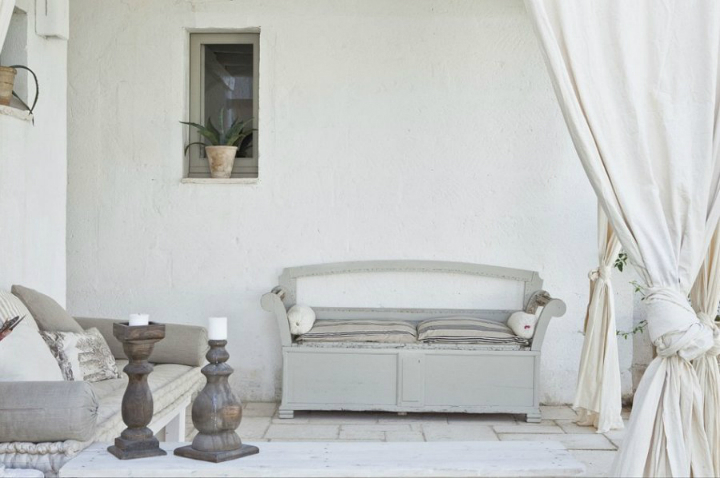 The overall style is simple, yet refined, while maintaining a strong bond to local traditions. 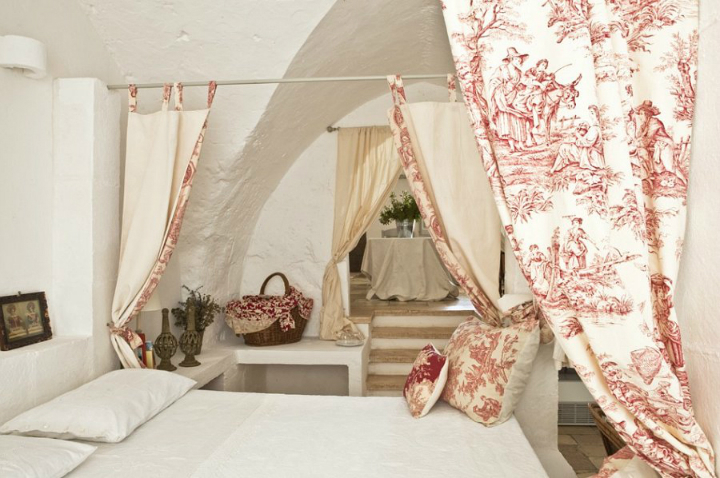 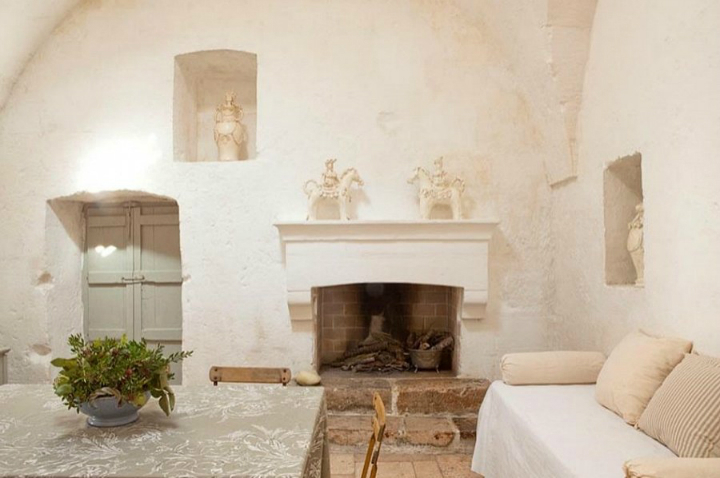 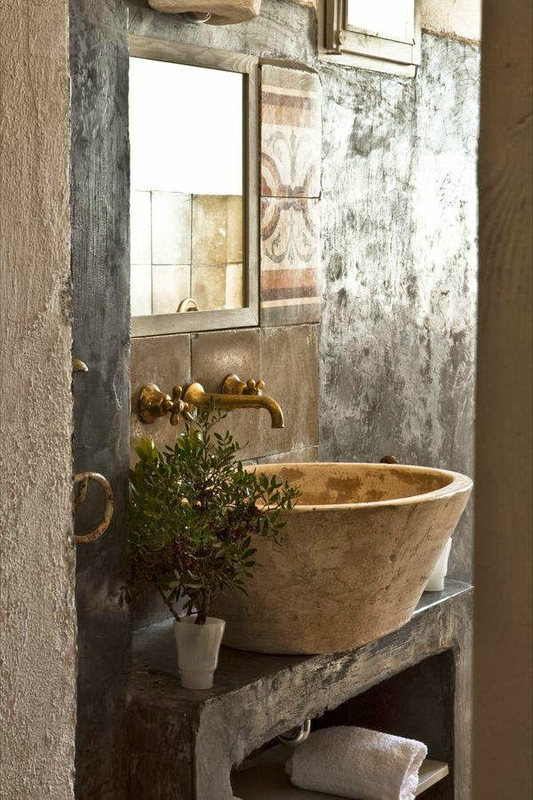 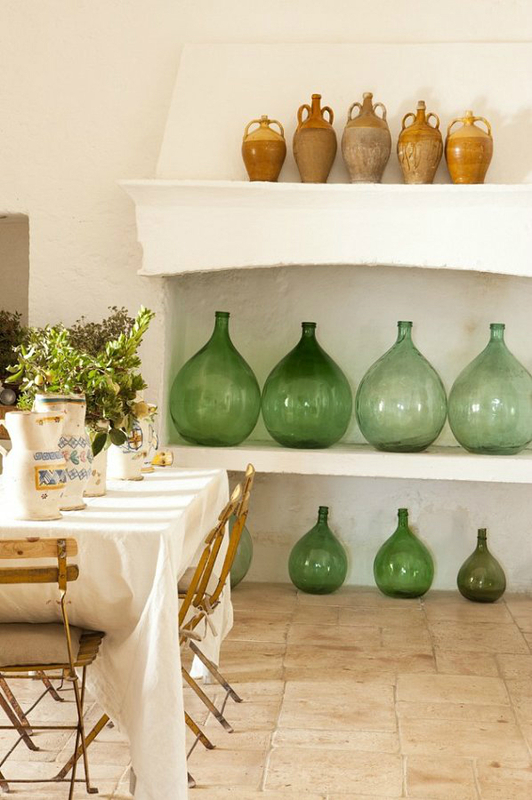 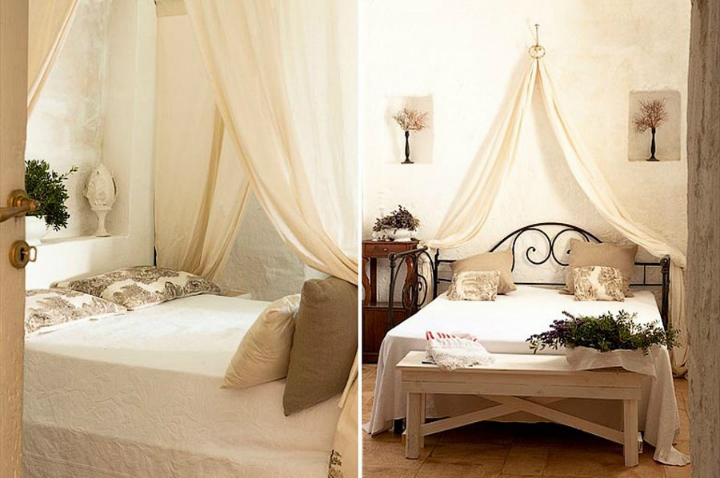 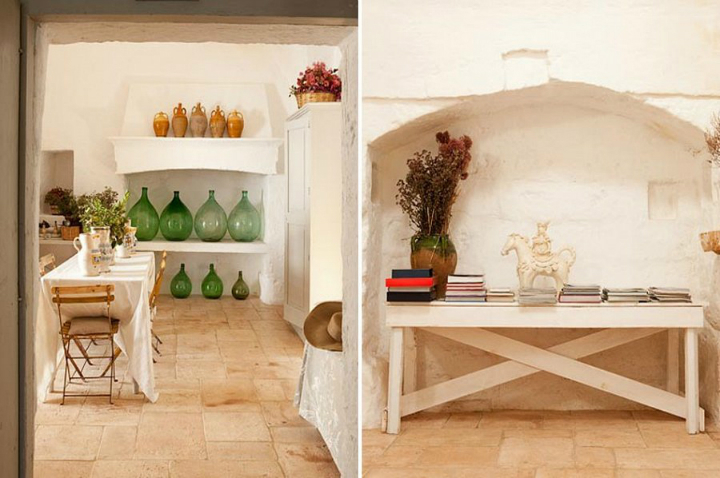 Most rooms feature antique furniture and ceramics from the region, enhancing the Apulian atmosphere furthermore. 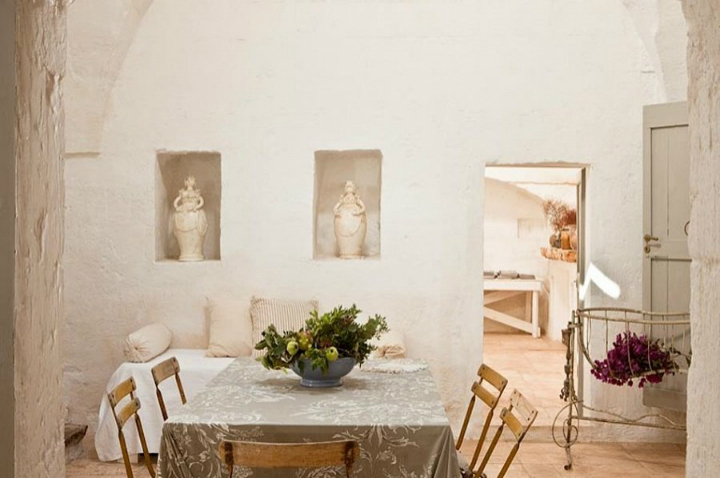 Maria Grazia is a dedicated decorator and enjoys to surprise her guests with imaginative table decorations. 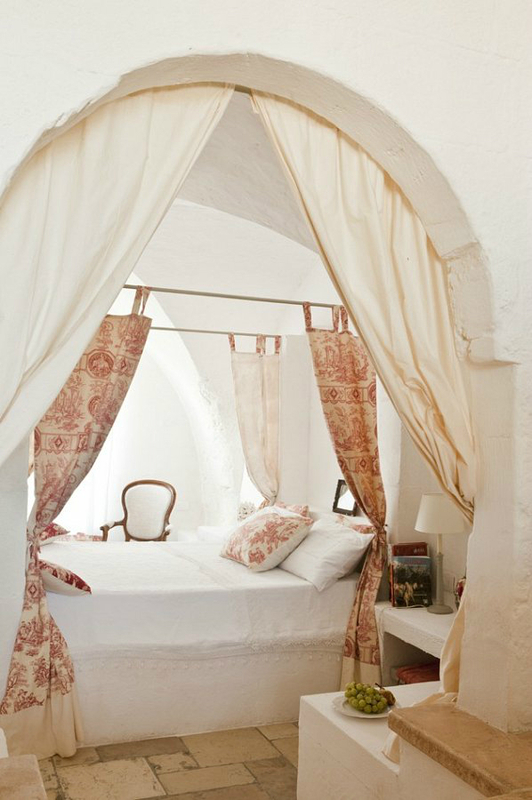 “The courage of following a dream, the constant love given to keep it alive, the enthusiasm brought by seeing it come true, the pleasure of life, but instead exalting them in every possibly way”. 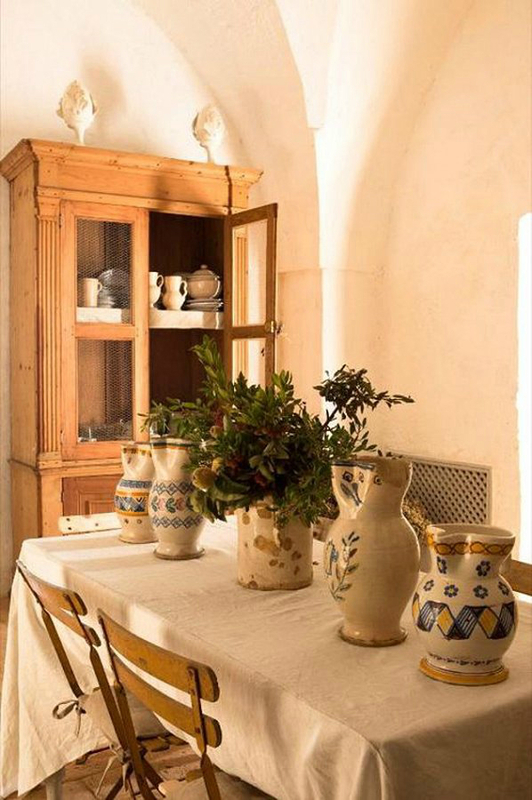 With the rigorous respect of the antique architecture, the masseria – a large type of Italian farm – has today become an uncommon agritourism which unites its strong agricultural identity with a refined hospitality.